In the past, we've stressed the importance of maintaining a certain detached yet professional relationship with your client. Lawyering is a tiring job and being too heavily invested emotionally in your client's case can have a detrimental effect on both your health and performance. 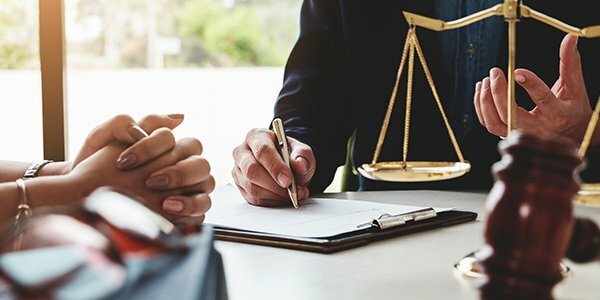 At the same time, being a good lawyer requires at least some emotional investment in your client's case. No, you don't need to actually consider yourself a therapist. But understanding how to effectively counsel a client will ultimately make you more effective as a lawyer. Part of a lawyer's job requires giving the client a full understanding of the possible outcomes of a case. But doing that can be a very tricky tasks, particularly since the "worst case scenario" might send a client emotionally off the edge. They're coming to you already because they're in legal trouble -- and no legal trouble comes along without a bag of emotional issues to come along with it. You'll have to be prepared for the emotional response attendant with giving the client the full picture. Counsel should make it regular practice to be mindful of the emotional toll a lawsuit is for the average client. Many individuals have never sued or been sued. Plaintiffs tend to be angry; defendants tend to be fearful and hurt. Your ability to be empathetic (or at least feign it) will be tested here. Almost everyone is confused by the process. Clients, particularly individuals, tend to think in terms of equity rather than procedure and codes. Appreciate this and take the time to talk your clients through the process. But check yourself when emotions start to get overly thick. Above all, listening is key. You're already good at handling information -- you're a lawyer. But if you really listen to what the client is trying to say, then you really will be able to argue their case in court and bend equity in your favor despite the fact the case may look bad based on blackletter law. Clients yearn to be listened to because lawsuits aren't fun for anyone.